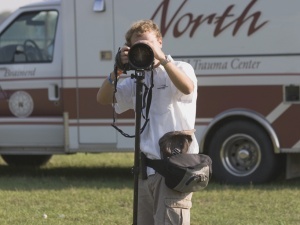 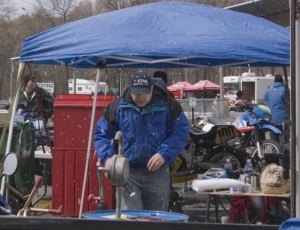 Motorcycle racing, paddock pictures, and general mayhem. 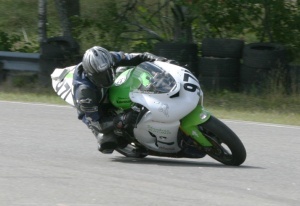 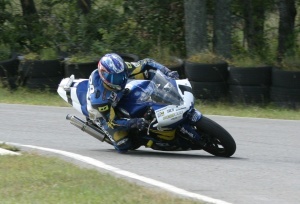 Pics shot during Central Roadracing events. 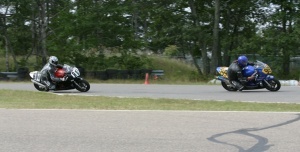 Only a moment after the flag drops, the lead is secured. 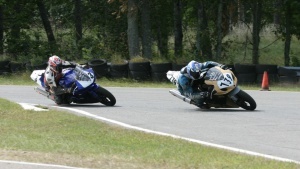 There is a reason he wears the #1 plate. 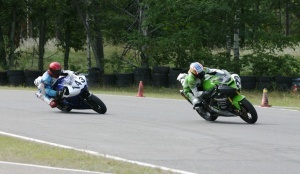 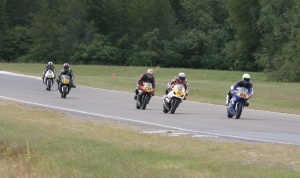 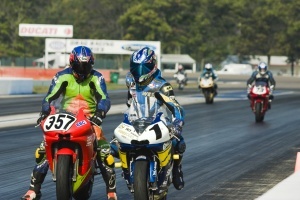 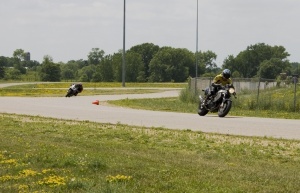 Expert (white plate) lapping a novice rider (yellow plate). 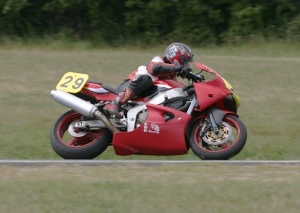 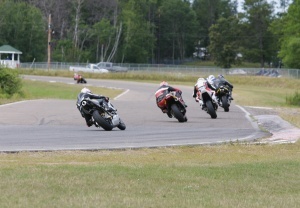 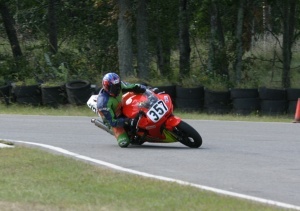 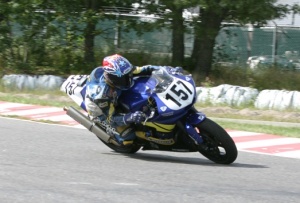 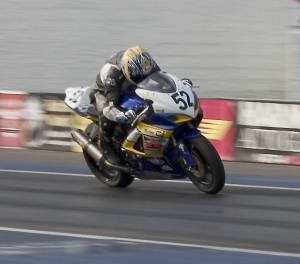 Girls can go fast too..
Coming out of a tight turn under power at the racetrack. 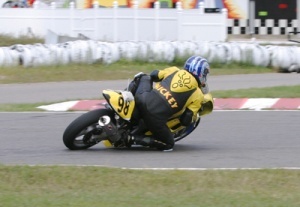 The Screamin' Yello 2005 team photo. 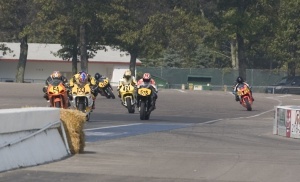 The start of the CRA pitbike race. 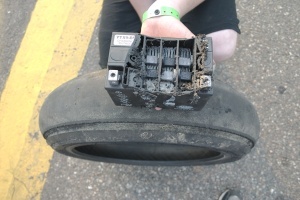 Battery fell into the rear tire during the endurance race. 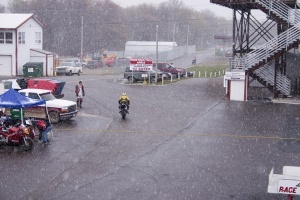 The terminals wore a groove in the tire, and the acid was long gone, but the bike kept on.